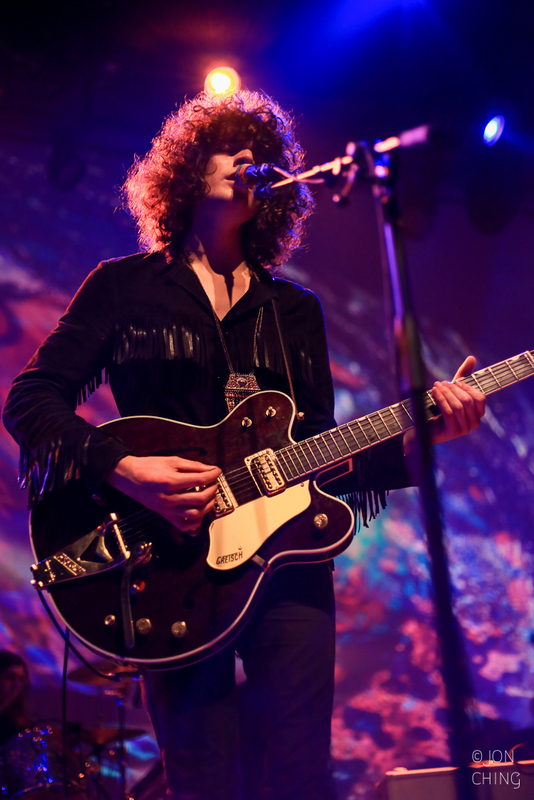 Last night, Temples, Wampire, and Fever the Ghost played to a densely-packed but not-quite sold-out crowd at The Fillmore. 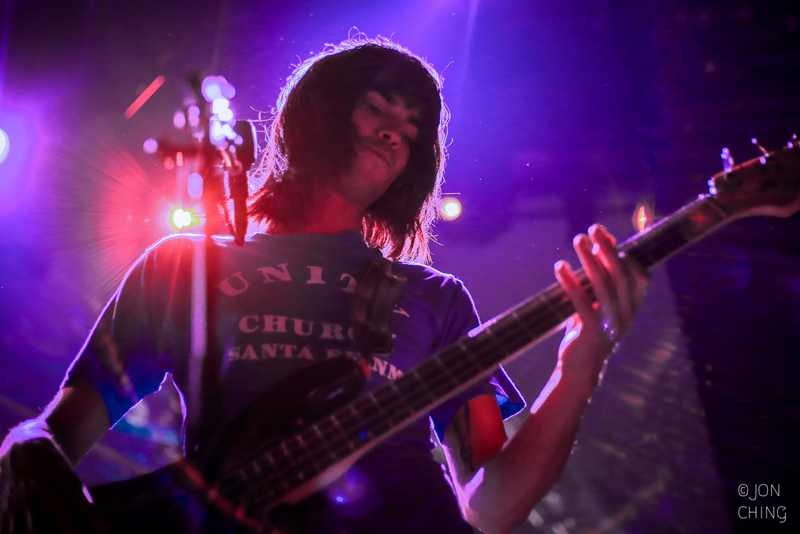 Earlier this year, I saw Temples play a couple of shows at South by Southwest. They played outside of Waterloo Records, on a makeshift stage in parking lot, under a flimsy tarp, and where it also happened to be raining. And they didn't sound like crap. I was colored impressed by the tight, heavy guitar, and catchy melodies from songs off of their debut album, Sun Structures. 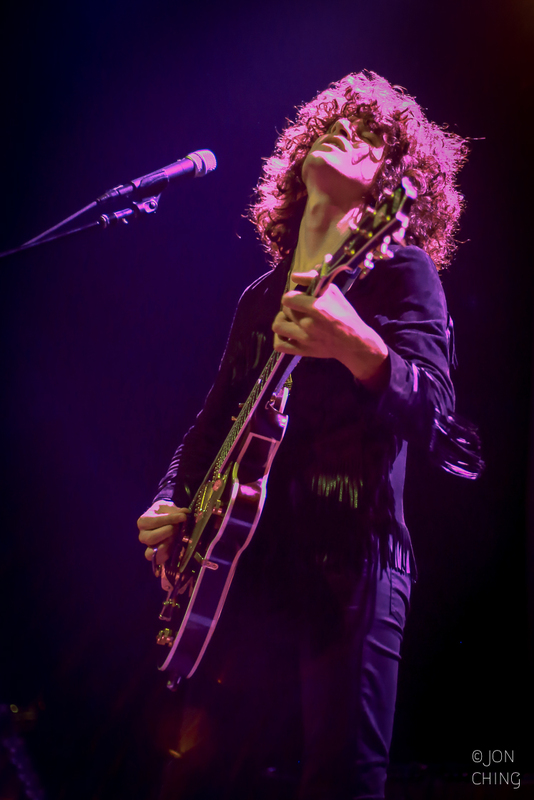 Temples has a sound that draws on the same 1960's/1970's rock revival that has been credited to bands like Tame Impala. I'll blame public transportation for only managing to catch the last 30 seconds of Los Angeles-based Fever the Ghost's set. Next was Portland-based Wampire, one of those bands that I should have gotten into because they are on the same page as a lot of bands I already like (there should a be a word for this, right? ): The Babies, King Tuff, etc. 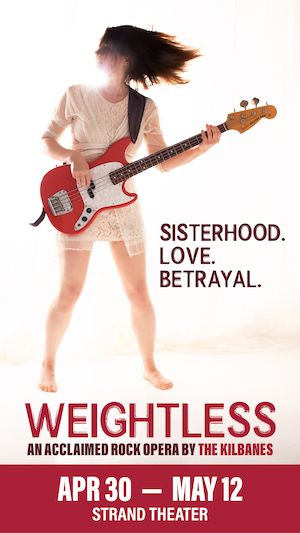 The catchy brand of mid-2010's indie-rock that can sadly be swallowed up by an over-saturated scene. That's a charged way to describe Wampire, but I digress. 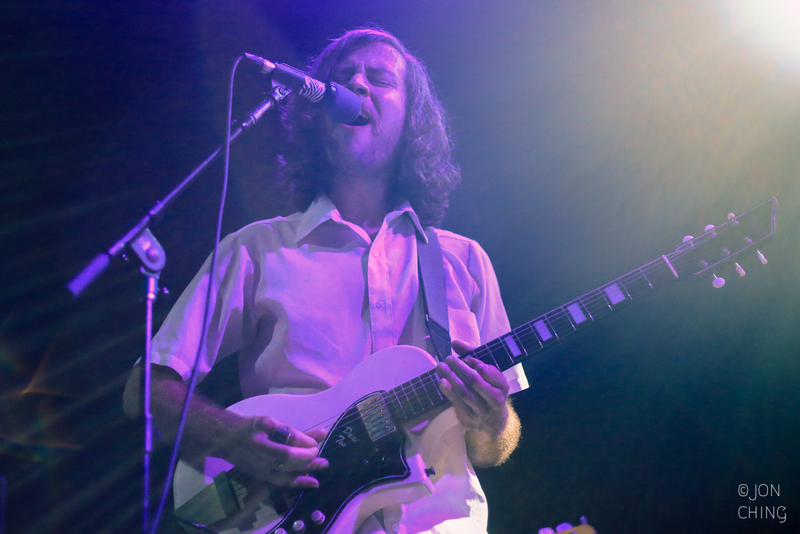 The first half of Wampire's set included songs off of their 2013 album, Curiosity, tracks that were energetic and upbeat in comparison to the five-piece's newer material. Their new album, Bazaar, boasts a darker and heavier groove than the positive vibes of Curiosity. Drawing from the newer collection, Wampire's latter half of the set made for a good segue for Temples to take the stage. Although Temples are from Kettering, England, they paint a picture of a psychedelic 70's group straight out of California. 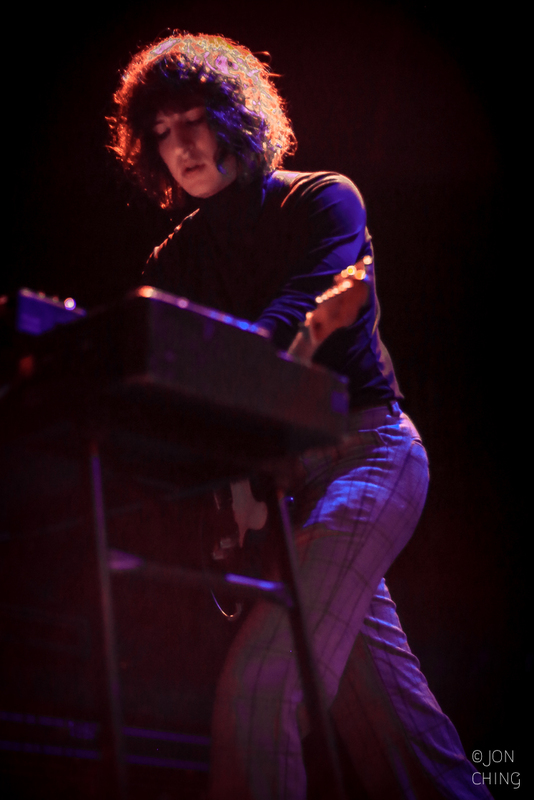 Their lead singer, James Bagshaw, sports a white boy 'fro, inky fringe shirt, and bell bottoms. The rest of the band follow suit with matching shaggy haircuts and choice 70's-inspired outfits. The band's look teetered on contrived, on maybe trying-a-little-too-hard but thankfully, looks don't equate with musical talent. 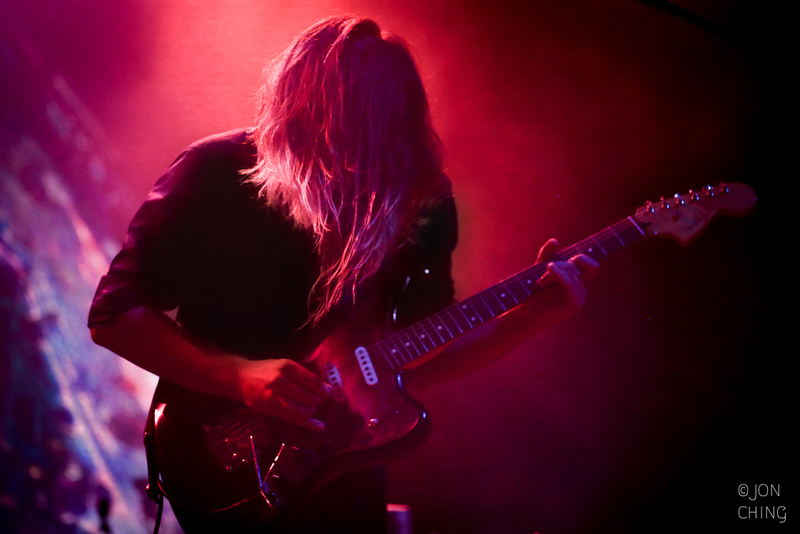 As the band tore through songs like "Keep in the Dark" and almost every song off of their 12-track debut album, their similarity to Tame Impala came more and more to light. Bagshaw looked like a cult-leader by the middle of the set, chanting his gospel of "ah-ahhh-ah" refrains to a sea of believers. Like most good bands seem to get on a long tour, they were well-rehearsed, even slightly mechanical. That might just be a part of cool demeanor of the band, but it was hard to tell how much these guys were enjoying themselves on stage. 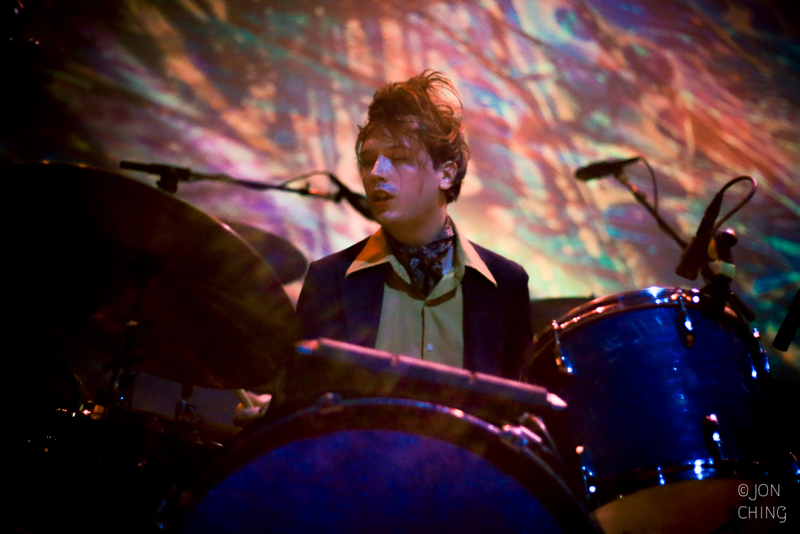 The band played a prompt 45-minute set before launching into an encore, a several minutes long fuzzed-out jam session, complete with cosmic swirling graphics as a backdrop. What came as an especially pleasant surprise was the lack of glowing iPhones in the crowd. The crowd was straight grooving, hair-braids were a'flying, and hippie-worship dancing was everywhere. The lack of smartphone-glow in the crowd, the pulsing cosmic graphics, and the venue choice of The Fillmore--last night's show could have taken place 40 years ago. Nice review. They are definitely a band to check out. It will be interesting to hear their next studio effort. I decided last minute to go to see them and I am glad I did. Left Menlo at 8pm, drink in hand at the show by 9. Only thing I disagree with is the size of the crowd. It was not even close to a sell out. I also agree about the look is a tad contrived, but the music is fantastic. Drawing on so many genres and bands and yet they bring a fresh spin to it. I took a few picture with the phone, but I was literally in the back by the soundboard with nobody behind me. It was great to not see a sea of phones. Hope they come back soon. Peace. The singer from Temples looks like Dream from the comic book The Sandman.